PRAYER PROMPT ••• The other day, I had a conversation with a friend about living a Christian life in this world. The world views Christians as pious hypocrites who hate and judge everyone. I’m not saying there aren’t a few out there who scream “righteous judgment” in the name of Christ, but that’s not the norm. Whether those people are true Christians — I don’t know. That’s between them and God. What I do know is that true Christian character includes love, humility, kindness, faith, gentleness, compassion, and obedience. By the world’s standards of brash, prideful, look-out-for-number-one skepticism, Christians are weird. The world doesn’t understand us. And because we’re told in Matthew 5:39 to “turn the other cheek,” the world also assumes we’re doormats. But Christians ARE conforming — we are conforming our lives to be like Jesus Christ! Remember, we are set apart (1 Peter 2:9). We are IN the world, not of it (Romans 12:2). If you are living a life with Jesus front and center, you WILL be scrutinized by this world. The Christian life isn’t easy, but it’s worth it. Pray today that the Holy Spirit will help you be bold in your faith. 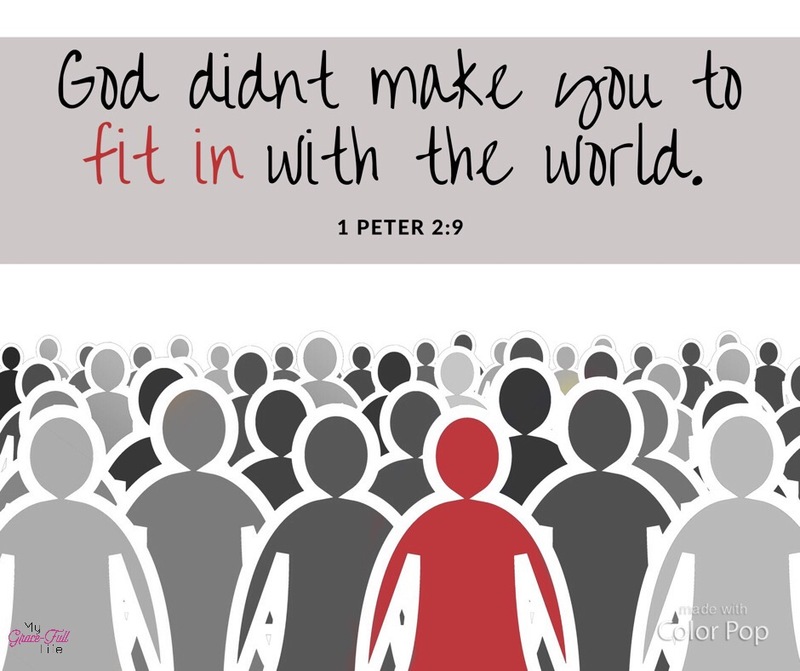 Ask Him to help you conform yourself to Jesus… not the world’s standards. Pray that you won’t compromise Christian values for worldly beliefs! It may be difficult, but with Him, all things are possible!